A rare southern slipper orchid, apparently a form of Cypripedium parviflorum v. pubescens has been known about for nearly a century, being first documented in 1939. Correl, in his famous book, “Native orchids of North America, north of Mexico” (1950), also noted that there existed a large, pale flowered form of C. pubescens, confined to the deep southern states. Little more was known about this mysterious plant except by locals who saw them in the field, giving consistent anecdotal accounts. 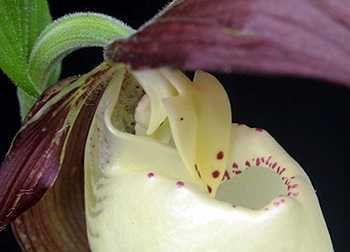 In the late 1970s it resurfaced, and was described as a new species of lady’s slipper orchid. 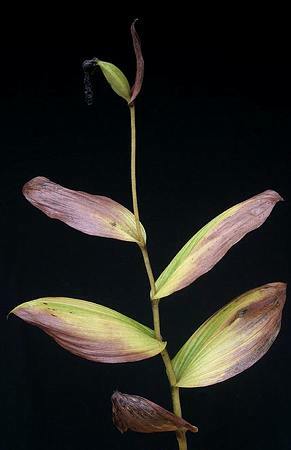 The naming of this taxon had a somewhat circuitous path, but ultimately came to be known as Cypripedium kentuckiense, one of the largest flowered members of the entire genus. 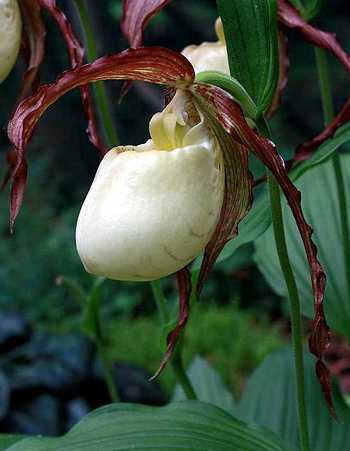 The flower of Cypripedium kentuckiense is one of the largest in the entire genus. Cypripedium kentuckiense is a large, deciduous perennial herb standing up to 70 cm tall, but usually is a bit shorter. The root stock consists of a thick, creeping rhizome and numerous, branch less roots up to 40 or more centimeters long. These are a light cream color when healthy. The single fleshy pubescent stem holds between 3-5 ovate, pleated leaves, that end in an abrupt tip like other related members of the genus, and are 13-17 cm long and 5-10 cm wide. These as well are pubescent. The flower is carried at the apex of the stem and is accompanied by a single floral bract that looks exactly like the leaves. Flowering commences as early as April in the southern end of its range and well into June in the north. The singly held flower is the attraction of this species. It is very large, with a natural spread of 12 cm or more, making it one of the largest flowered species of the genus. The sepals and petals are usually deeply striated with a purple brown color, forming a near chocolate brown appearance, though in truth their base color is apple green. The petals hang downward and are mildly to moderately twisted, each 7-10 cm long and less than a 1 cm wide. The dorsal sepal is broad and extends forward, often drooping over and even in front of the lip, growing up to 10 cm long and 5 cm wide. The synsepal is broad, and though fairly large, is overwhelmed by the bulbous lip it embraces. The long triangular staminode is yellow in color and marked with purple-brown spots. Cypripedium kentuckiense goes dormant a bit later than my other Cyps. Dormancy should progress slowly, with the plant first yellowing, then turning light brown. Blackening of the leaves is often a sign of trouble. 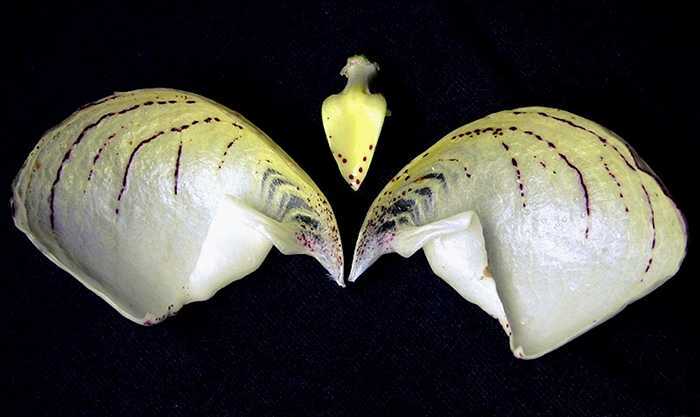 The real focal point of the flower is the enormous lip which can rival the size of a large chicken egg. It is commonly a cream color, but can also be pure white or pale yellow. The lip orifice is often rimmed with purple spotting, while the interior lower half is lined with purple spots that are somewhat evident from the outside. One unique feature of the lip is its shape, deep and elongate and forming a nearly flat plane at the orifice – very unlike any forms of its near relative C. parviflorum. An alba form is seen from time to time, having a pure white lip and light green sepals and petals. Occasionally, specimens with highly purple spotted lips can also be seen, but such plants are truly rare, even in the wild. C. kentuckiense can be found primarily in scattered colonies in the states of Alabama, Arkansas, Louisiana, Kentucky, Mississippi, Oklahoma, Tennessee, and the easternmost counties of Texas. Two outlier colonies exist, one in south-central Georgia and the other in Lancaster County, Virginia, not far from Chesapeake Bay! Given the proximity of colonies near the states of Ohio, Missouri, West Virginia, and even the panhandle of Florida, it isn’t out of the question new locales could be found in the future. Despite its fairly wide distribution, it is thought that less than 3000 individuals still exist in the wild. The distinct focus of this species is in the hill country, plateaus, and flatwoods where Arkansas, Louisiana, Oklahoma, and Texas meet. Here it is found in moist woodland slopes, often near streams or in ravines. In Louisiana it is said be found sometimes in slash pine flatwoods. Further east populations are more disjunct with a tendency to grow on the verge of streams, even onto alluvial plains where plants are subject to seasonal flooding. The outlying Virginia population has the most novel habitat – growing on slightly elevated hummocks in a swampland. The Georgia population as well has a unique habitat – on steephead seepage slopes in deep, sandy soils. The opening of the lip is often dotted with a number of purple-brown spots. Given its distribution, this is an aptly named plant, the southern lady’s slipper. It’s Latin epithet has a more complex history. It was potentially first recognized by the oddball “Renaissance Man”/botanist, C.S. Rafinesque in 1828 as C. luteum v. grandiflorum, which he later renamed as C. furcatum in 1833. It was next described by V.G. Soukup in 1977 as C. daultonii, after Jim Daulton who knew of plants near his home in Kentucky (also why it got the moniker, Kentucky lady’s slipper). For reasons unclear to me, this validly published name was rendered nomen illegitimum, in other words it was rejected, since it contravened articles of the International Botanical Congress. In 1981 Clyde Reed described it as a new taxon under the old Rafinesque name, C. furcatum. Then more problems. No known collected material was available from Rafinesque’s time, so the name C. furcatum couldn’t be applied some argued… and so on… add a few more botanists arguing this way and that…and FINALLY it was given the name C. kentuckiense. The distinctiveness of this species remained in question well into the 1980s, but by the mid 1990s molecular evidence pointed to its uniqueness. Phillip Cribb, in his seminal monograph, The Genus Cypripedium (1997), gave the taxon his blessing and ever since it has been considered a valid member of the genus. 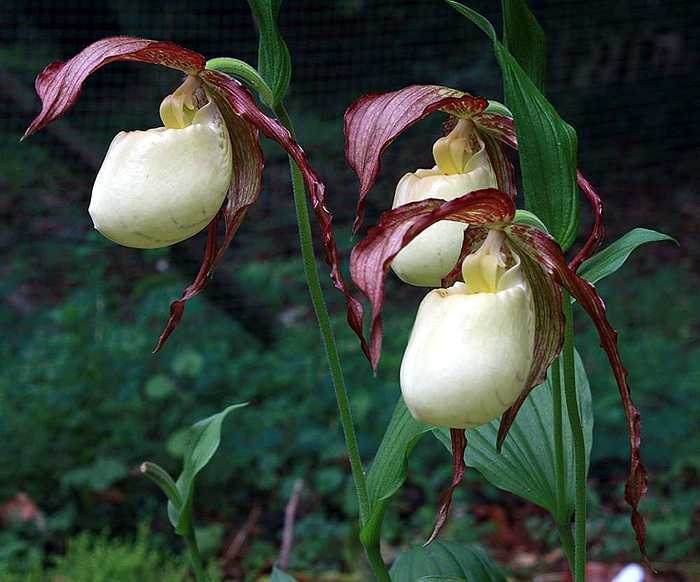 As for my own personal experience with this species, it began years ago when I was still in high school and in contact with Carson Whitlow, one of the founding fathers of Cypripedium hybridization. He and I were steadfast pen-pals in the late 1970s. I remember one letter sometime around 1980 when he described an unusual new plant he had been shown in Kentucky. He said he had procured one, but soon after I was off to college in Florida, and sadly fell out of contact. In the mid 1990s I became again fascinated with Cyps and contacted Carson again. He was generous enough to give me divisions of both C. formosanum and C. kentuckiense. I figured I had a chance in growing them in north Florida given their southern distributions. Unfortunately, I was wrong – both died within a couple seasons. The southern lady’s slipper, though endangered in the wild, has been mass produced and can be found in collections throughout the world today. These seedlings are in their second year of growth. 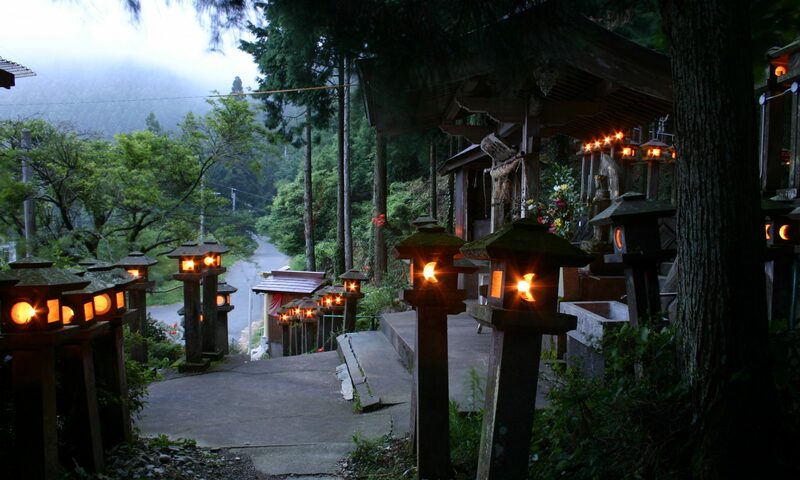 My next attempt was here in southern Japan in 2006. I managed to secure a couple nice divisions and proceeded to try one in pot culture via the double pot cooler method, and the other in a bed of sandy soil at my house. The plant in the sand bed died within a couple seasons, while the one in the pot persisted for several years before giving up. I too had nearly given up on this beauty when in 2008 I got another chance at a nice two growth plant. 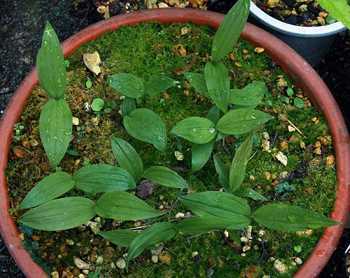 I planted it in a raised bed in a woodland situation (see the article, If you dare: growing Cypripediums in a hot climate). It grew well and within two years had three growths with three flowers to match. Then in June of 2011 a fungal attack killed back a number of my Cyps ruthlessly due to a particularly wet and cool monsoon season, including the C. kentuckiense. Needless to say, I was distraught. In 2012 it rebounded, and hopefully this spring will be stronger still. The southern lady’s slipper is remarkably temperature adaptive, having been grown from its native Louisiana clear up to central Minnesota (spanning USDA cold hardiness zones 8b-3a, respectively). Still it prefers cooler summers and moderately cold winters, so cool temperate climates with relatively high humidity suit it best. Here in southern Japan, an equivalent USDA cold hardiness zone 9, it is at its thermal limit. I’ve heard of folks managing to grow them along California’s central coast as well, but clearly this isn’t optimal either. My friend Ron Burch grows them easily in northwestern Connecticut in USDA zone 5b. The lip of Cypripedium kentuckiense cut open reveals lines of purple spotting on the lower sections. Notice also the deeper yellow coloring at the lip’s base. The staminode is at the center. Many sources say this plant does best in sandy soils with a slightly acidic pH. That is likely true. Certainly, I would avoid too much loam in their compost, particularly if it has a large clay component. Additionally, I wouldn’t recommend much in the way of organics either. I’ve grown it well in a mix of small grained pumice with a bit of orchid bark, but no true soil added. It seems to be somewhat more touchy in culture than any C. parviflorum variety. If happy, plants can form large clumps, and a large, multi-growth plant in full flower is truly a show stopper. Its late flowering cycle too is a novelty, peaking around the same time as C. reginae, so late May and into June. This is a true woodland plant, needing light shade to do well, and not enduring much direct sunshine. Additionally, it requires an evenly moist compost throughout the year, and though plants in the wild can sometimes be inundated, they will rot in cultivation if the compost is not well drained. Artificial fertilizer can be applied, however it should be diluted far below normal recommended concentrations. Neutral to slightly acidic compost is best for this species, but it can endure moderately acidic soils as well. A large plant of Cypripedium kentuckiense in full flower is something to see in person. The spent flower stalk in the background is C. parviflorum v. pubescens, which flowers well ahead of its southern relative. If you want to read an interesting article by Carson Whitlow about his harrowing experience with getting this species approved as artificially produced plant material, see this link: CITES, Blueprint for Extinction. His efforts to get C. kentuckiense into cultivation lead eventually to its mass production today throughout the world, such that artificially produced stock far outnumbers the plants remaining in the wild. It should be noted that while some wild populations are protected or kept as guarded secrets, they are subject to destruction through habitat loss even today. Cypripedium kentuckiense, despite being mass produced for over a decade now, remains a sought after and relatively expensive species. It has been used successfully in a number of hybrid Cypripediums, and likely will have a place in Cyp enthusiast’s collections for years to come. If you love Cyps, I highly recommend you try this lovely species. great article on the history of this lovely species. Who would have thought that it was so little know until the 1970’s! With such a big flower you would have expected it to be better known. Just one comment. Plant in pots frequently produce more than a single flower per stem.